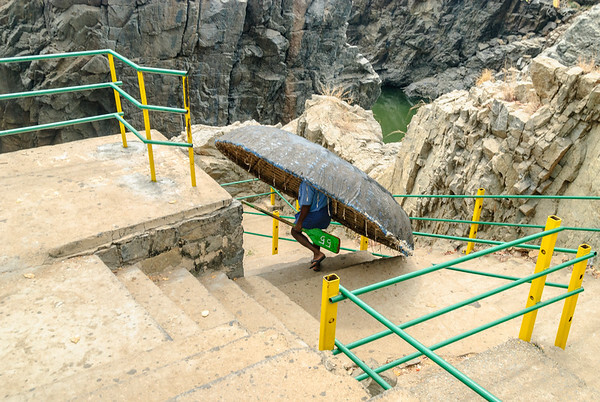 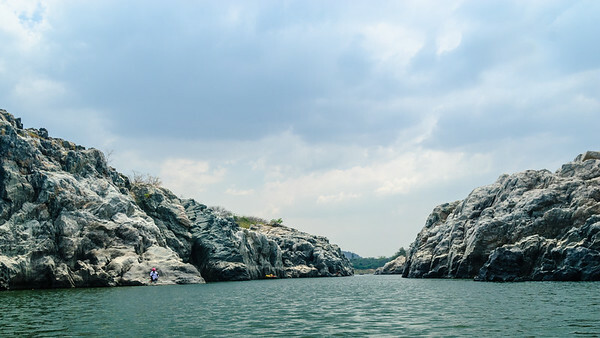 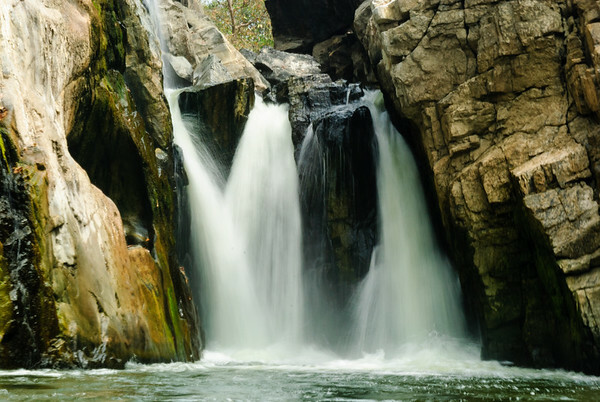 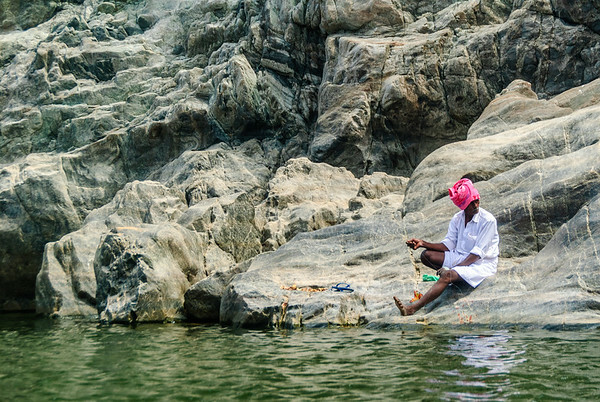 Hogenakkal is a waterfall in South India on the river Kaveri in Tamil Nadu, about 180 km from Bangalore. 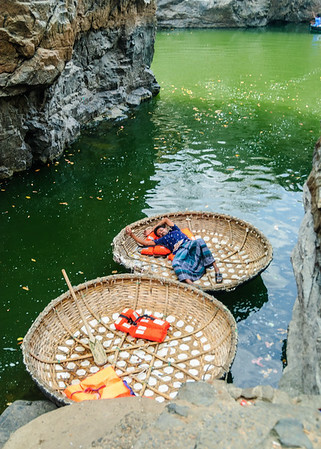 The area is famous for medicinal baths and unique round shaped boat rides. 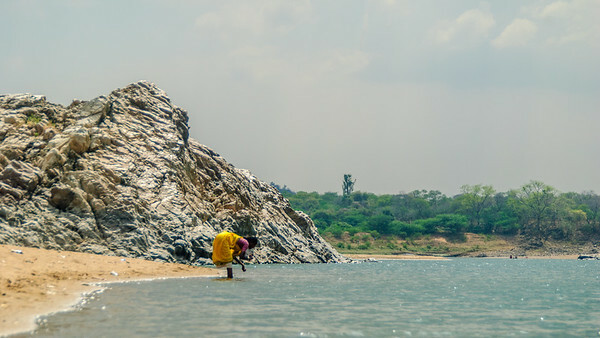 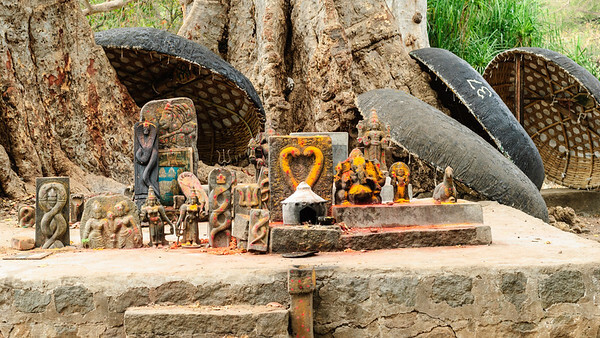 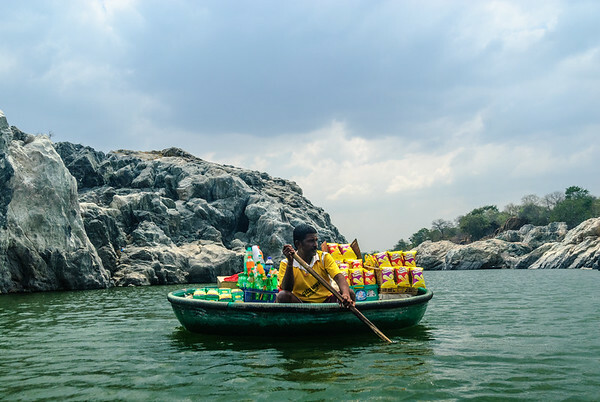 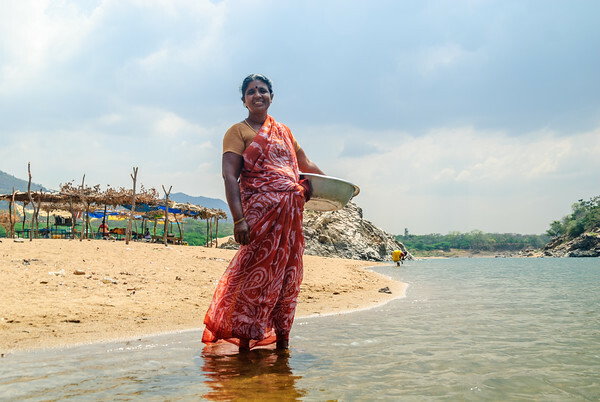 A seller with his floating boat-shop, selling soft drinks and snacks to the tourists on the unique round boats on river Kaveri in Tamilnadu, India.